This is a blog post I started almost 2 years ago but got side tracked and never finished it. Having just needed some information from it I dicided I would finish it off and post it just in case it is helpful. Please remember that there may mow be a more appropriate solution available though. A couple of years ago I bought a reconditioned Acer Aspire One A0751h. It is a lovely little machine. It is rather slow and the graphics chipset has huge compatibility problems, but it is still a nice machine. It came with Vista installed but now has Ubuntu 10.04 LTS installed. One problem I had with the graphics chipset driver is that the machine would not hibernate properly. The quick fix to this was to replace the latest hibernation applications with the old ones that still work with these drivers. Canonical make the point that the fact that Ubuntu’s suspend not working is a fault with the power management routines and should be these should be fixed instead of just replaced. Using the Debian USS works but is not supported under Unbuntu and may have other issues. You may or may not have heard about the new(ish) cookie law that has come in requiring web sites to get the users permission before sending out a cookie that can be used to track a user across web sites. Although aimed at increasing online privacy it is causing a problem for most people who have a web site including me. The problem I have is with third party services serving cookies, most specifically AdSense and Google Analytics. The new legislation gives both Google (as the service who sends out the cookies) and me (as the user of there service) equal responsibility to get the users agreement before service the cookies. The problem is I have no control over what Google serve and they don’t appear to have a solution in the pipeline. As the Information Commissioner’s Office, the organisation charged with enforcing the legislation, have said they are taking a light touch approach to enforcement “where there is a low level of intrusiveness and risk of harm to individuals” I will, like many, continue to take the wait and see approach and hope that Google comes up with a more defined solution in the near future. So, in summery I am already compliant with the exception of some Google services, and I am now hoping Google will supply a recommended solution for me and many millions more across Europe. Update: Things are changing already with new advice from the ICO saying that we can presume implied consent. As a result I can now just bring up a one time message (perhaps just for European visitors but I will need to check in to that) letting the user know I am using Google Analytics cookies and taking there continued use of the site as implied consent. Clearly I am missing the deadline on implementing this but will have it coded and active soon. For the last few years The Late Shows have happened in Newcastle and Gateshead where cultural venues who would normally be closed on a Friday and Saturday night open their doors until 11pm (and sometimes later). We got to see a little singing (well okay, about 20 seconds) and then took a tore to look at the rooms available (clearly being run by estate agents and not cultural folk this one ;-) ) and finishing up at the roof garden. No residents seemed to be exhibiting anything but it is there first year open so hopefully we will see exciting things next time. Not an official stop but it is nice to see a local woodworker showing their wares. It was also great fun having a go at balancing fire on my chin. Apparently there was more of this fire juggling fun and the like on the Saturday but sadly I did not get across there this year. A venue that got its name from having 7 floors, and it is also important to remember that the exit is on floor 3, or somewhere like that. Anyway, this children’s story telling venue had lots of costumes of charters from books resulting in lots of [so called] adults putting on costumes and regressing to their childhood. There were plenty of dressing up opportunities this year but this was by far the best. 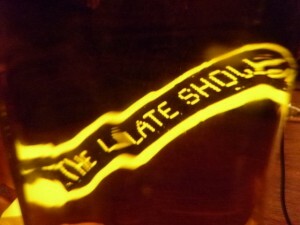 If they ever need volunteers to dress up for the kids then a few hundred of them can be found at the Late Shows. Only a brief visit here as we were running out of time and a friend of ours got involved in a political debate about politics that swallowed the rest of the time we had. This was one of my favourite stops last year with a great elephant show and Sarah Blood’s neon baked in Cake . Although there was not all that much new to see this year there were a few good things to look at. I also caught up with fellow maker Bettina Nissen who has some marvellous 3D printed creations. Some basic and slightly fun prints being exhibited. The works were okay but the way they were being hung in the space really added to them. Some of my favourite art works of the weekend. I especially enjoyed the “smiley” designs. Taking time to look at these made my trip the Hoults worthwhile. Well, not quite my thing, but each to their own and all that. Ironically I had trouble finding somewhere to put by bicycle here where I could see it. It appears to be a cycle shop, cycle hire and café in one although I might have got that wrong. I will have to stop off another day and find out more. This is always worth a look. Some great thought provoking photography on show here. It is always a good selection and in many ways I with a lot of what is shown here was more accessible to the world. It is free to visit any time so if you are around then go. Somewhere I have been many times and I love to go to the roof for the view. The view changes every time I visit, but there do tend to be a few years in between each visit. My oldest memory of the castle as a child is of the view of all the train tracks and points going in to the station, but from what I can figure most of those are now the long stay car park. There was also a play that was nice and slightly odd diversion, and some interesting models of old buildings in Newcastle. I was not going to stop here as my intention to go one day in the week, but I was passing and although pre-booking was normally needed there was a spare space belonging someone who did not turn up. Something that defiantly gets my mad invention seal of approval. It is a shame it is not a more permanent installation. Somewhere I have passed many times and wondered what is inside. A great introduction and brief history of the building at the start. There were also a few fun things going on like dressing up (yet again) making stained glass windows like at school, a cycling simulator (no idea why but who cares). They were even giving away free soup that gets my thumbs up ever time. So that is what I did, and there was so much I did not get to do. Some say that this should happen more times a year, and although I don’t disagree perhaps it would be more practical to have different sectors of the cities open on different weekends, or add a Thursday as well. Well dome all and fingers crossed for next year. Back in 2007 I created a centralised status updater that allwed me to post a short message to Twitter, Jaiku and Facebook at the same time. Later on I extended this to use Ping.fm so I could additionally post to Plaxo Pulse, Plurk and YouAre. Now Jaiku have been swallowed by Google, Plaxo has closed Pulse, Plurk is still there but no one I know uses it any more, and YouAre closed down, there is little point in using this any more. Additionally Ping.fm is about to be closed down, so I would need to do some more coding if I wanted to keep it going. As a result of all this I have decided to closing down my status updater and use Twitter and Facebook directly. I also am experimenting with the Twitter Facebook app that cross-posts tweets to Facebook that seems to be working well for my tweeting style. 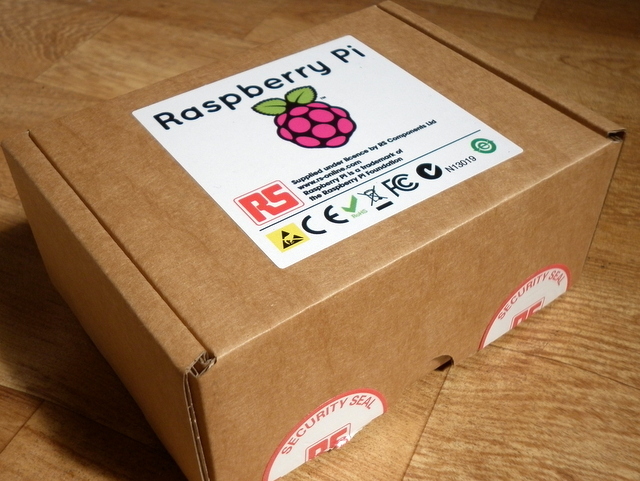 Yes, I was one of those geeks who got up at 6am to order a Raspberry Pi. It has been a long wait since then but I now have my Pi to play with. This is a quick blog post to summarises what I have learnt from it in my day of playing. Yes, I don’t have a TV or monitor with an HDMI input but the converter works well, and using the wifi access point as a client means I don’t need to run a cable through the house. I downloaded the recommended Debian “squeeze” image listed on the Raspberry Pi web site using BitTorrent on my Windows machine. Creating the SD card was easy although it took an age to work out what was an advert and what was the download link for Win32DiskImager. Writing the image was easy but the the image was for a 2GB card and I was using a 4GB one. It worked fine but I was wasting half the card. In the end I needed to use a Linux machine to resize the partition to use all the card. The Pi running squeeze boots quickly enough. Officially you can not run YouTube on the Pi yet but you can install Google’s Chrome (just type “sudo apt-get install chromium-browser” in to the command line) and that will allow flash and HTML5 videos to [just about] play. It manages a frame rate of around half a frame a second at best. The Broadcom chip set is capable of playing accelerated video but there is a little work to be done yet. I have not been able to get the sound working yet but this could be because the sound is being sent to the HDMI port instead of the 35mm jack socket. I will have to look further in to this. So that is as far as I have got. To summarise the Raspberry Pi is a lovely little computer. I don’t feel it is in a position for people to start really learning on until the operating system matures. In fact it is currently more complex than the average home computer, but we should remember that this is currently a development board and not pretending to be ready for the classroom yet. Following several comments online I also note is that there are plenty of other board around and the Pi is not built of bleeding edge technology any more, but that is not the point. It’s success will be built on it’s community, and the media hype and low cost can only help broaden this community and make the Pi a success. It is not really challenging the Arduino as it is not comparable, and it is not going to take much business from other boards as it is creating a new market and not competing in the same market. There is one thing that does worry me though. 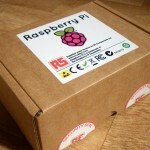 One key advantages of the BBC B microcomputer, that the Pi is frequently being compared to, is that you could programme it out of the box following a few simple instructions. This is not the case with the Raspberry Pi yet. This is not to say that this will not come, but at the moment you need to go out of your way to programme something and it appears we are relying on the community to rectify this. Much of the community seem more keen to make it do cool things instead of make it easy to programme and we can’t blame anyone for that. Finally, like many, I ordered from both RS and Farnell and have already paid Farnell for one. Because of demand we are only supposed to have one Pi and I am planning honour this by selling the second one locally at cost to someone deserving. If that could be you let me know, but I am not expecting in until the end of June.